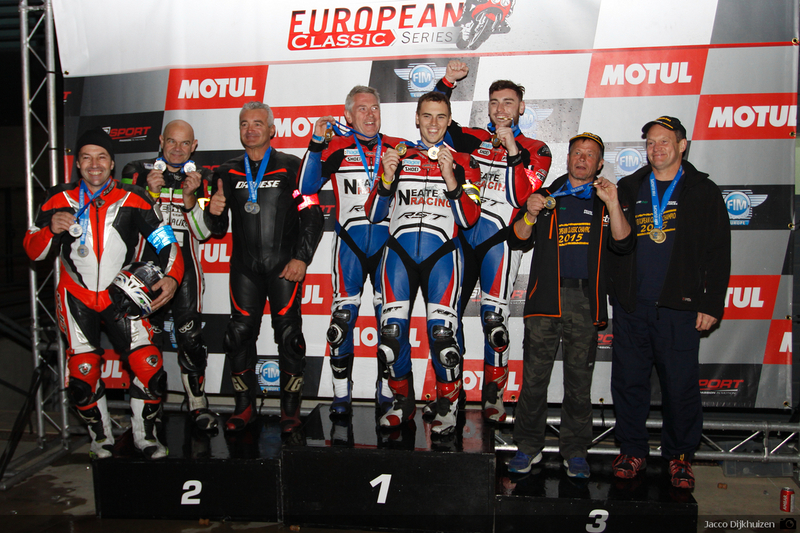 MES have been enthusiastic supporters of the team for 4 or 5 years and were significant contributors towards winning the 2015 European Classic Series. The company provide general and specialist fabrication and maintenance services to a range of industries in Southern and Eastern England. Third position in the 2017 European Classic Series was just a reward for a mixed season of results. Congratulations to all invloved, team, riders and sponsors alike. The highlights were certainly high! It’s hard enough to win a race, let alone get a 1-2 and at Imola to boot! The corresponding lows were equally low! In summary though – Great job everyone, well done!! At Aragon, after leading 1-2 from the start, both bikes suffered engine component failures at mid-distance, one cracked crankcase and one broken rocker arm; both bikes were retired. Going forward, we are now determined to move onto more reliable machinery (all engine problems have been component failures – each 35 years old) and a return to a higher percentage of race finishes and great results lie ahead. Whether the EVO 750 category happens in 2018 or not, we are moving onto later machines, almost certainly a return to ZXR 750 Kawasakis, similar to those which the team had so much success with in the 1990s. Two machines will be built for either the ECS or other European (and UK) events. 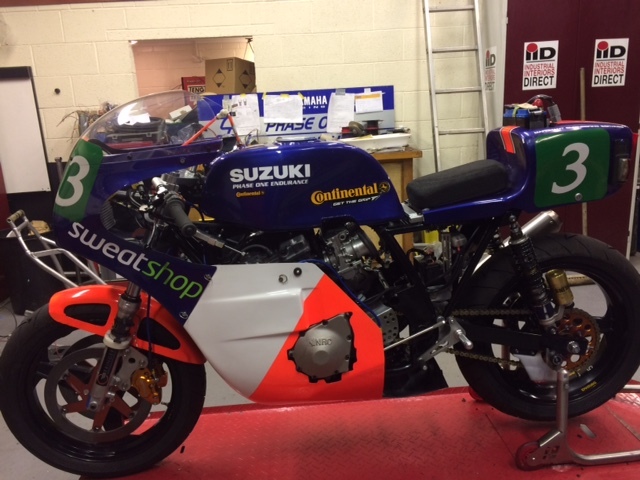 The first will be based on one of the team’s 1991 spec bikes. The team will run a single bike entry in 2018. 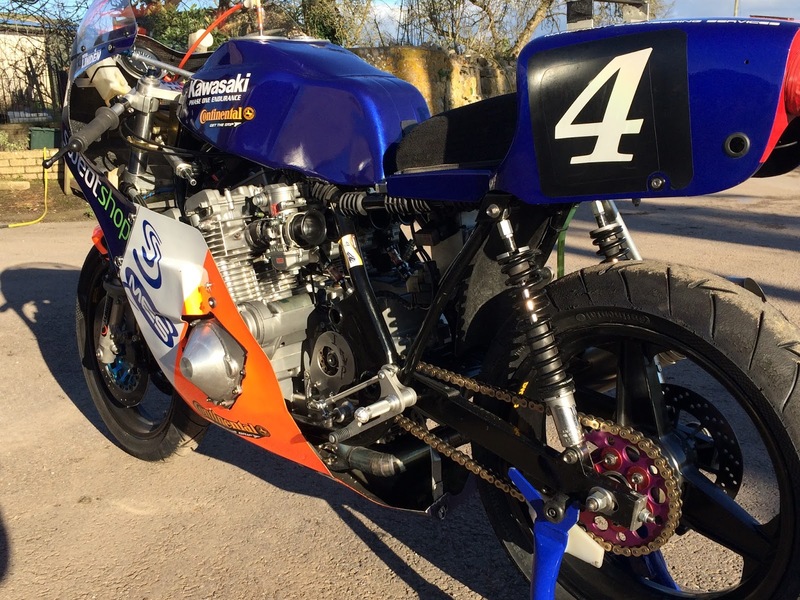 Alongside that project will sit the building of two Bill Simpson framed TZ350s for next year’s ICGP races. The build budget is already in place, but currently the running costs for 2018 are not covered. We have blank fairings just waiting to be painted in somebodies colours! This year we have been proud to work again alongside Hugh Brasher, Peter Lindén, Ian Simpson and Mike Dickinson. Our appreciation and congratulations to them all. Thanks to everyone else for your contributions, work and support, roll on 2018! We leave on Tuesday 17th for Spain. The truck is crammed full – six enduro bikes, three race bikes, one parade bike and a moped! Not to mention a whole host of superb Continental tyres.! The first leg to Santander is always enjoyable: 24hrs of relaxation and a few whale sightings if we are lucky.! 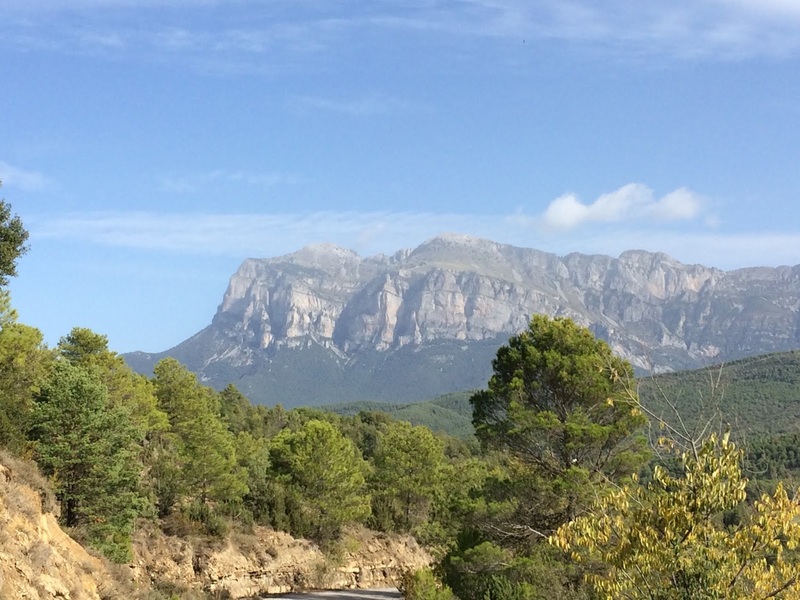 Then the drive to Ainsa via Pamplona, Jaca and Fiscal, thats great fun too. 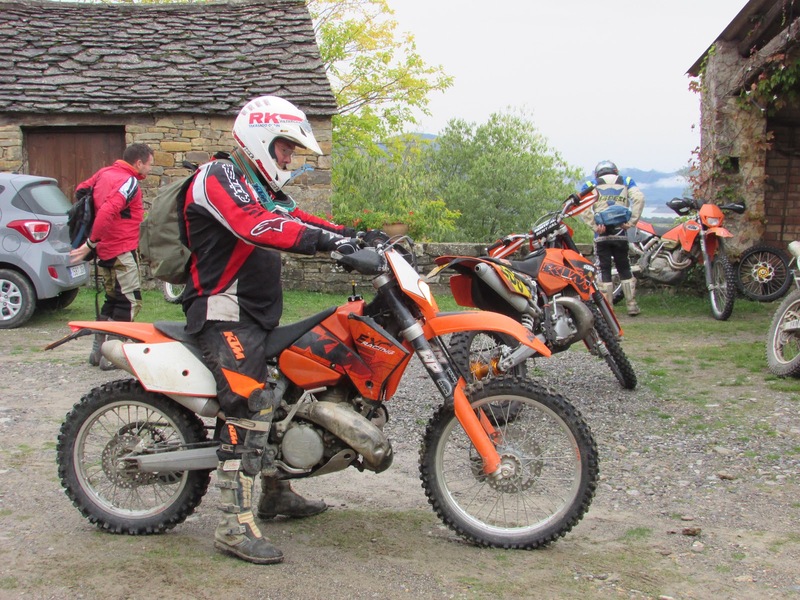 Then, that’s followed by a week with our mates, (14 this year) with the offroaders in the Pyrenean foothills. 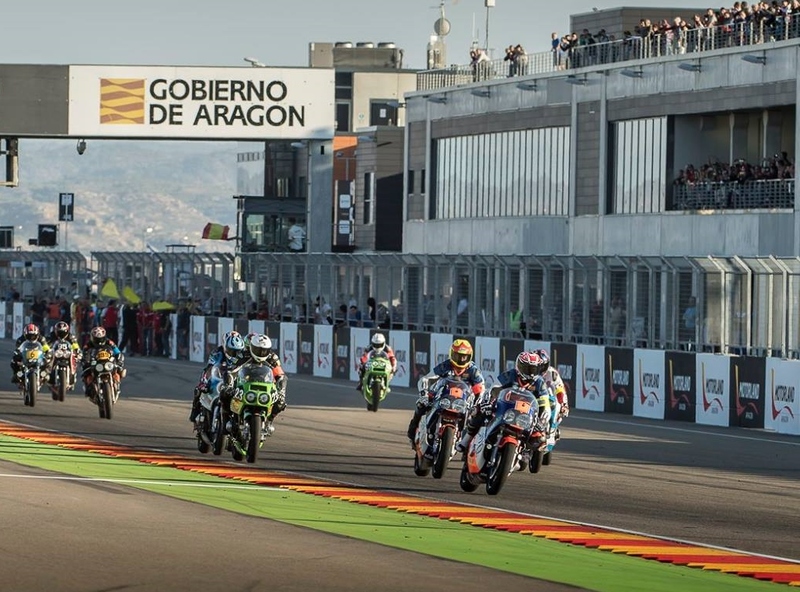 Blimey its going to be a great ten days, capped by the final race of the year at Aragon. 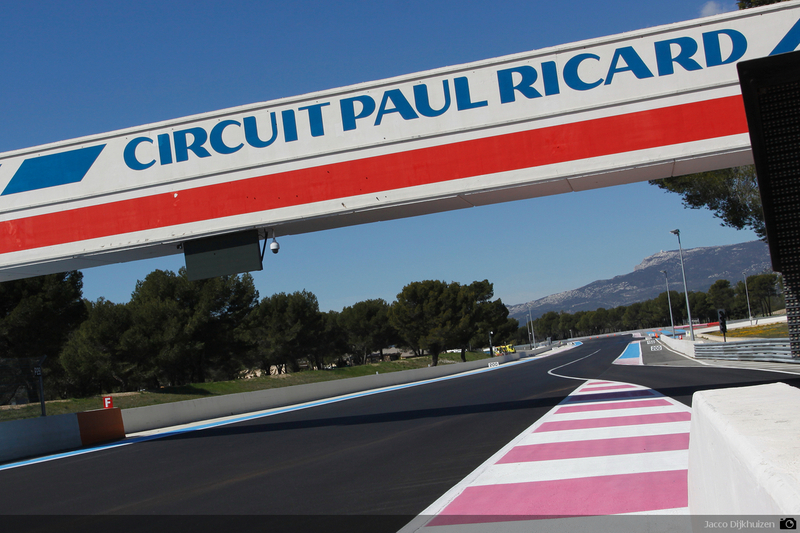 The proceedings start on Friday with practice and qualifying sessions, further quaifying on Sat and the race on Saturday night. The teams remain unchanged with Mike and Hugh paired together and Ian and Peter sharing a bike. I would like to have announced some big developments on the bikes, but the spec remains the same as Imola, but with some general freshening up – new rings, cylinders, stem seals, wheel bearings electrical connectors, etc – basically all the routine stuff that wears out. So no big performance improvements, sorry ! 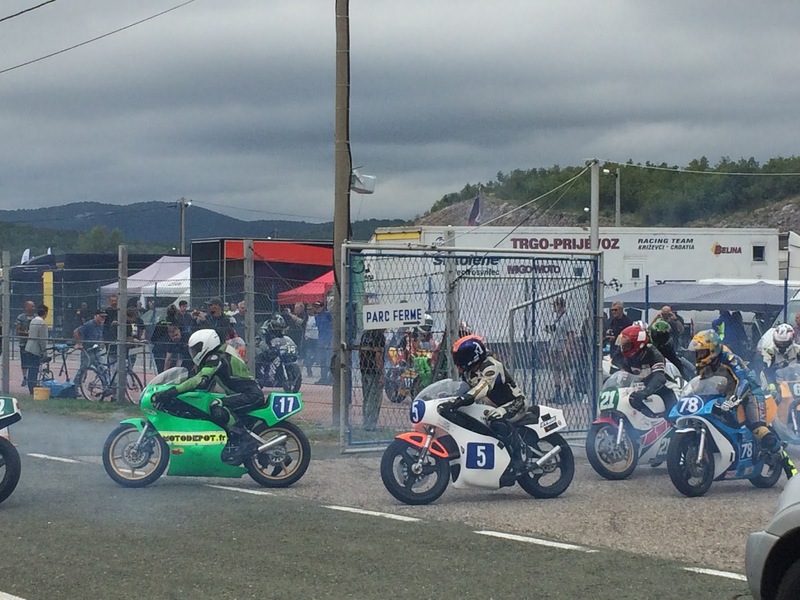 The race is held as part of a big classic meeting and one of the highlights is the ‘big top’ style tent packed with classic bike parts sellers, a real treat for the Sunday after packing up.! The ‘championship ‘ is currently led by Taurus Suzuki – a lovely team who have been knocking on the door of championship success for a few years. I wonder if they will consolidate or not ? 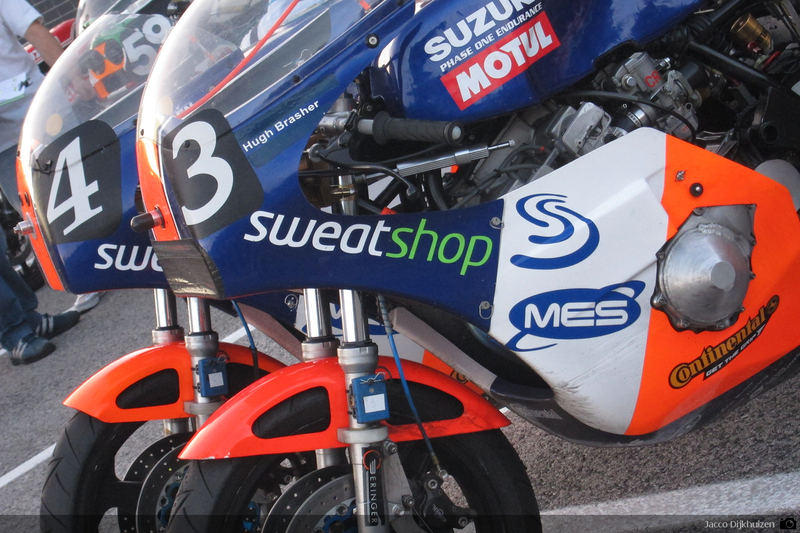 For those who have not been to Aragon before; its worth it…….and its 23deg C right now. Hugh Brasher and Mike Dickinson won a straight forward 4hrs race at Imola, the third round of the ECS championship held on Sunday 3rd September. Team mates, Peter Linden and Ian Simpson were a superb second. Congratulations to the whole team and thanks to our loyal sponsors. 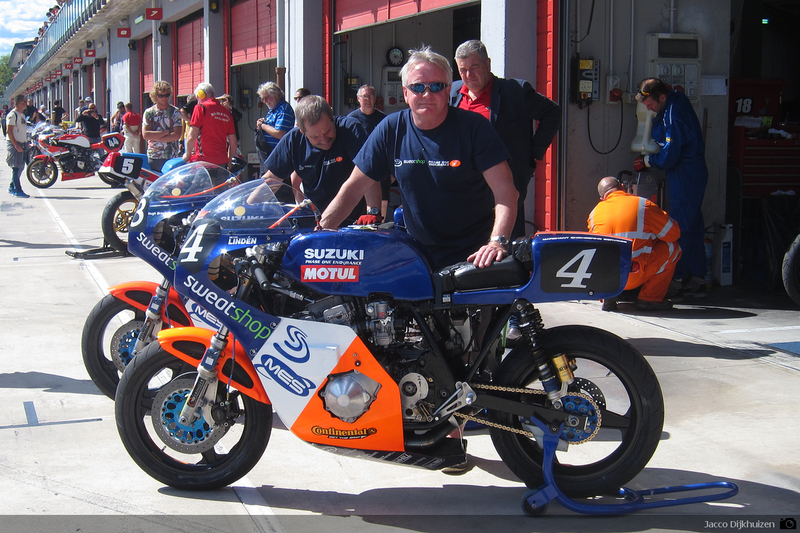 A fine third place went to Henk Van der Mark and Dirk Brand on the fast and reliable Bakker Roadrunner Suzuki. Top job.! The race was conducted in warm dry conditions with not so much as a pacecar to break the monotony.! 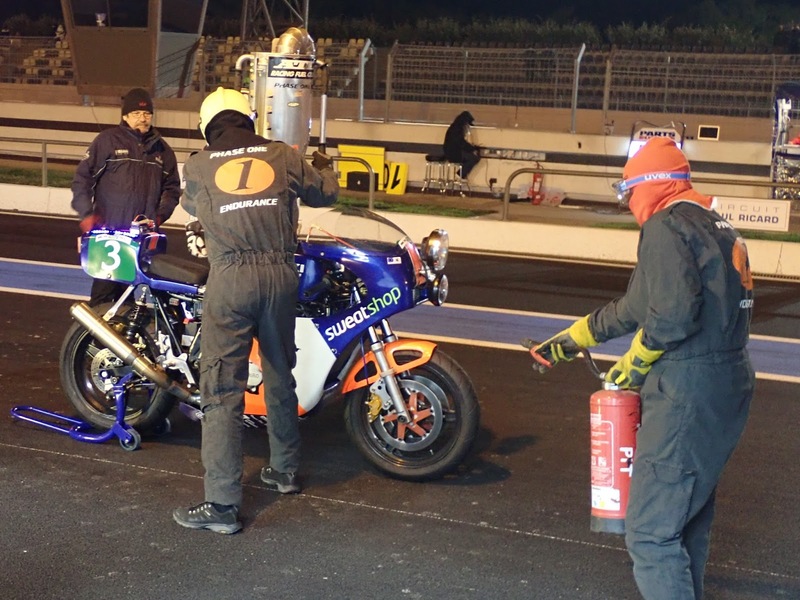 Not to say that the race was boring; entertainment was provided aplenty; firstly by the Banfield/Conroy pairing, struggling with a loose oil pipe on their P&M Kawasaki on the warm up, followed by Alf’s guys breaking another superfast Kawasaki engine, then Force and Banfield/Conroy following suit. At least the Neates added a bit of interest with push ins and electrical problems, but the final and saddest failure was SCERTs with a broken crank within the last 30 mins. The ECS obsession with the destruction of Europe’s whole stock of Kawasaki and Suzuki parts continues apace, with absolutely no word on modernising the regulations for 2018. We think that it’s almost too late now to prepare for an EVO750 entry, or anything new for 2018. 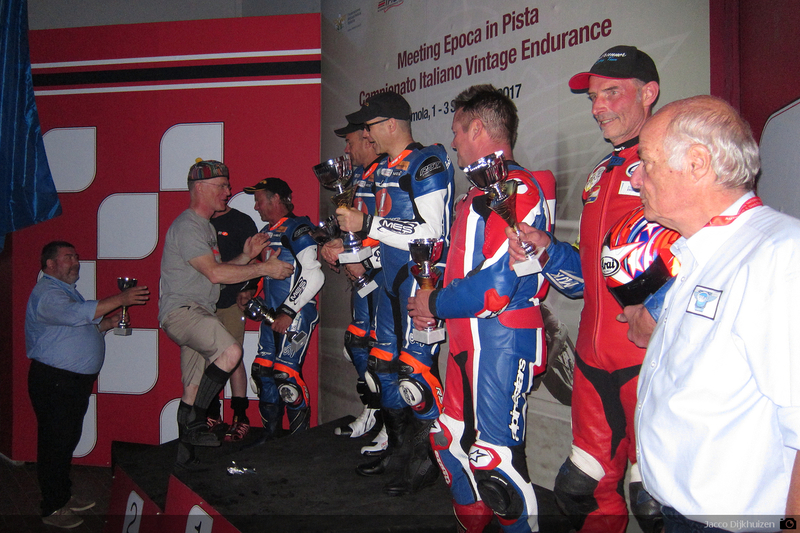 This Italian round of the ECS was another of these hotch potch races with bikes from all sorts of more recent classes mingling with the ECS entrants and distorting the results. 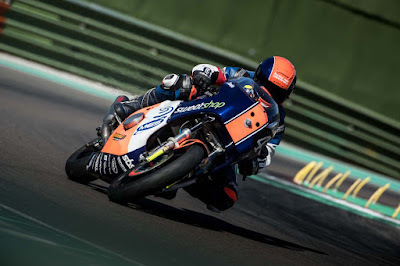 For instance an Italian bike raced with two young guns, one a factory test rider (not allowed by ECS regs) on a recent Moto Guzzi – (also not allowed by the ECS regs), inevitable finishing ahead of all the ECS entries. 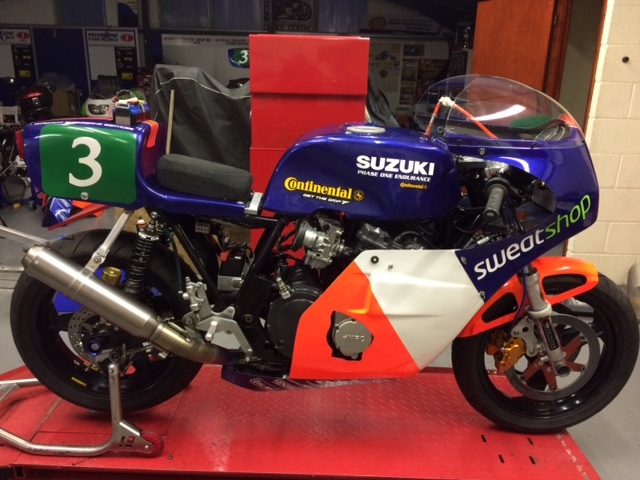 Other recent bike, non-classified teams were scattered through the results. Whilst the ECS stick to the current out of date formula, all non-Belgian races will be like this; with separate organisers forging ahead with new categories, leaving the ECS in antique land, even more depleted. Steve Bateman helped prepare the rostrum bikes. 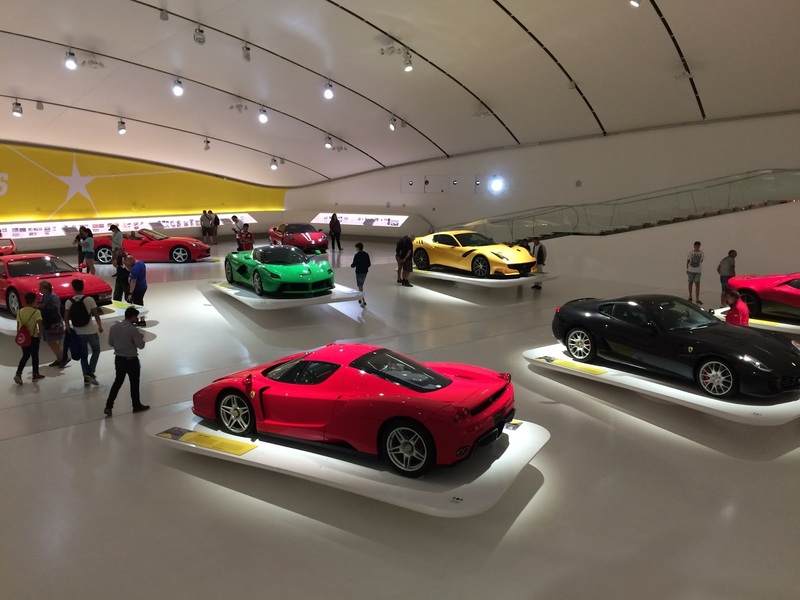 Following the race the team headed for the Ferrari museums at Modena and Maranello. 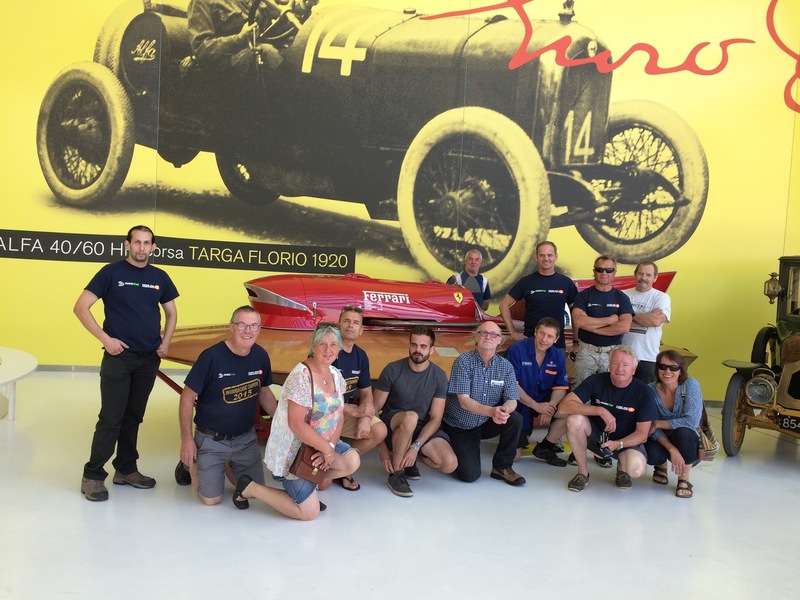 Monday was spent transfixed by the blend of engineering with art and the life story and vision of Enzo Ferrari. Last weekend was a great chance to dip our toes into the ICGP water (literally). 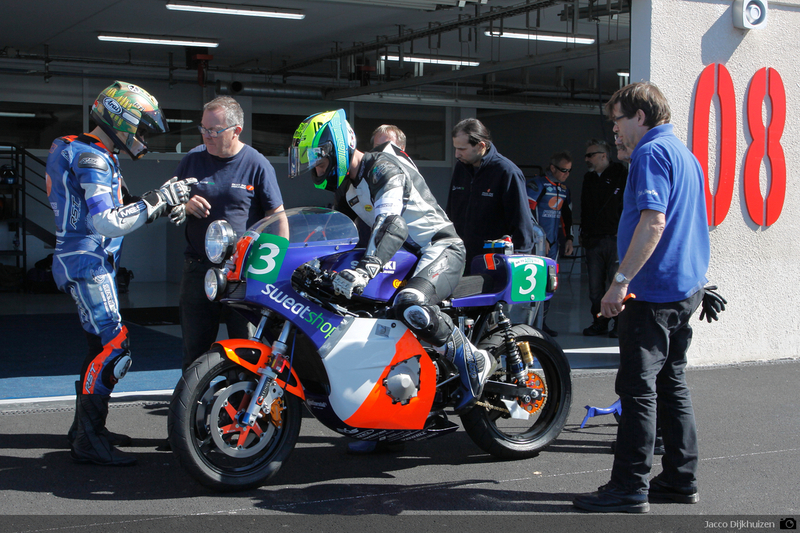 The Rijeka round of the series gave Peter Linden a chance to try out Andy Abram’s Spondon TZ350. 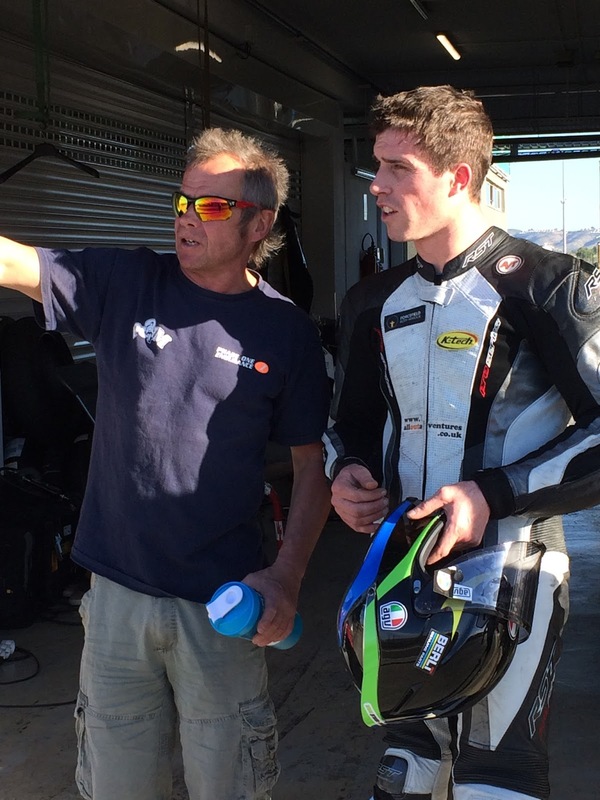 Over 30 laps were covered before Peter succumbed to Flu, but in that time he achieved second fastest time in the damp Sunday practice which followed seventh in his debut dry session. 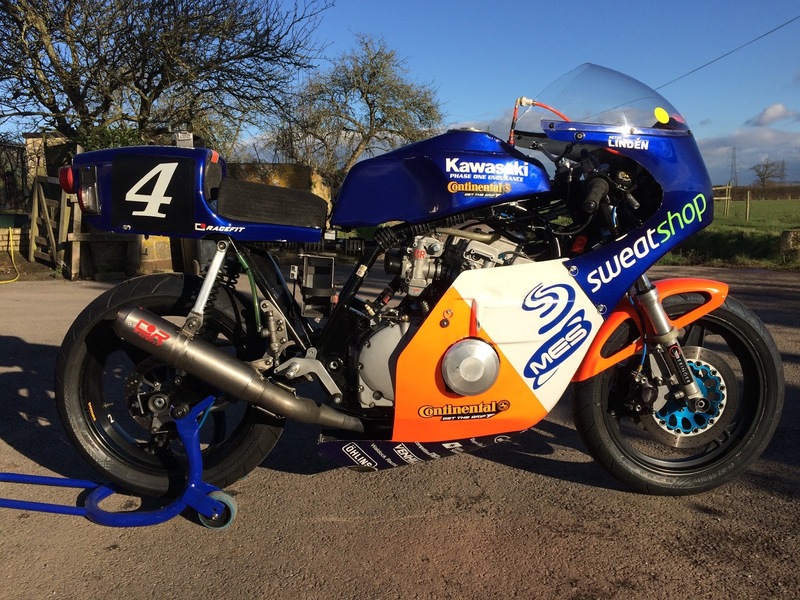 Mike Edwards dominated the weekend with wins in the wet and the dry on the superbly prepared BSR TZ350 of the Beale Roberts Team. Anyway, enough of that; looking ahead we have a week in the Pyrenees and the Aragon 4hrs to look forward to. 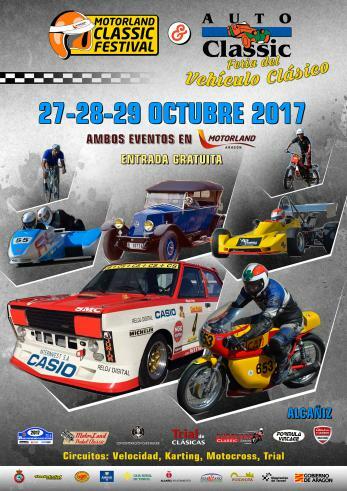 This year’s Ainsa off road trip will pitch racers against sponsors and a world champ (albeit with a gammy foot|- Linden) against the rest. As always it will be sheer fun.! Aragon will then follow at the end of October.